Graham has been involved with The Door since the very beginning and can even claim to have hosted one of the founding meetings back in 1991 (at his home). He has had a number of roles in the charity including treasurer as part of the trustees. His current role as Operations Director covers all the vital HR and Finance of running The Door. Outside of his work at The Door Graham is treasurer at Stroud District Foodbank, a trustee of Stroud Christian Fellowship and occasional music director at the Cotswold Playhouse. Victoria joined The Door team as Family Support Team Leader in 2011 and since then has followed her passion for supporting young people and families to become Director of Service Delivery. In this role she oversees everything from youth clubs and youth mentoring to parent support and family work. She is excited to bring her own style of leadership to every part of our delivery focusing the team on being servant hearted and supporting people to the very best of our ability. As well as working at The Door Victoria is a Reader in The Church of England and in her spare time enjoys running, and walking her dogs. Barrie started at The Door as Deputy Project Coordinator in 2009 and since then has worked in all areas of the charity from ‘front line’ youthwork to overseeing the old Hope Training department and before a restructuring in 2016 held the role of CEO. Barrie knows The Door inside out and in his current role of Business Development Director travels the district sharing the work of The Door with local organisations and groups as well as building The Door’s corporate funding portfolio. He is also Director of the illuminateStroud project pilot. 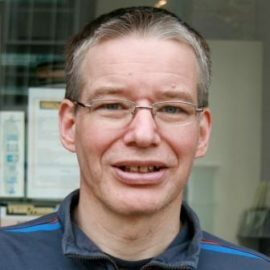 Away from The Door, Barrie is a director of PSALMS, Chair of Trustees for Street Pastors Stroud and Youth and Development Leader at Stroud Christian Fellowship. After a long career in the banking sector Alistair looked for a change of scene and joined The Door team as a horticulture tutor in 2014. Following the closure of The Door’s training department in 2015 and a short stint as Assistant Manager in The Door Shop Alistair began his current role as Youth Mentoring Team Leader in 2016. In this role he oversees a team of over 50 volunteer mentors as they support young people to tackle issues from bullying and bereavement to anxiety and depression. Away from The Door Alistair can be found treading the boards at The Cotswold Playhouse, tending his garden or enjoying a ‘proper breakfast’. Shona first joined The Door as a volunteer youth mentor, supporting young people one to one on a weekly basis. Following the expansion of The Door’s Family Support Service in 2018 Shona joined the team part time as Family Support Team Leader. In this role Shona looks after The Door’s team of volunteer support workers as well as supporting parents 1:1 and hosting our Parent Connections support group. When she isn’t at The Door Shona is Mum to two grown-ups (how did that happen) and finds joy by cycling, reading and being creative and crafty. She is always up for learning new things and wholeheartedly believes, in a world where you can be anything, be kind. Before she came to the door Sandra was an English and drama teacher in a secondary school, she left to train as a councillor so joined The Door as a volunteer support worker in 2013. Following the expansion of The Door’s family support services Sandra became The Door’s Family Support Worker in 2015. As an accredited Triple P Positive Parenting Programme Facilitator Sandra runs The Door’s parenting for teens courses as well as meeting with parents 1:1 and supporting whole families with Family Face Time. When she isn’t supporting families at The Door Sandra likes to travel places like India, America and New Zealand. She also loves to walk her dogs, relax to some music or watch films. Debbie joined The Door team in 2016 as a volunteer mentor and very soon took on the paid role of Schools Mentor in March of 2017. In her role Debbie spends 2 days a week in local secondary schools, meeting and supporting young people in their place of learning. Debbie also coordinates The Door’s Care Leaver support programme (Door To The Future) supporting young people as they leave care and start to live independently. When she isn’t working for The Door Debbie also works for Dursley out of school club and enjoys walking her dog and cuddling her chickens. 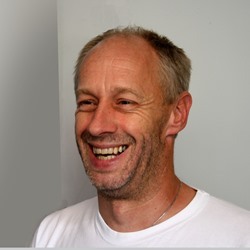 John started at The Door in 2017 as Community Youthwork Coordinator for Stroud his role includes supporting local community stakeholders including the police and council as well as overseeing all The Door’s youth clubs in Stroud, Avening and Stonehouse. John also looks after Key Café (supporting NEET 16-25 year olds), and our aDOORables young parents group. Away from The Door John is an avid Arsenal supporter and a member of Southgate Evangelical Church in Gloucester. Kathleen started at The Door as a Sessional Youthworker in 2016 and has since taken on the role of Community Youthwork Coordinator for the Dursley area. Kathleen oversees The Door’s youth clubs in Dursley, Cam, Wotton and North Nibley as well as playing a key role in supporting young people in those areas through her work with the local police and other community stakeholders. When she’s not at The Door Kathleen is a member of Dursley Rugby Team and is a children’s worker at 3C Community Church doing open the book work. Becky joined The Door team in 2016 and began her role as Senior Youthworker in 2017. Becky’s role is to support the Community Youthwork Coordinator for Stroud to make sure that The Door is delivering the very best youth services to young people in the area. Using her musical talents Becky also supports the young people to express themselves through song writing and singing. Away from The Door Becky is a Christian and attends the Salvation Army in Gloucester. She has also recorded a Christian Music EP. Francesca joined The Door team in 2016 as a sessional youthworker while working part time as a beauty therapist. She is currently studying at the University of Gloucestershire working towards a degree in youthwork. In 2017 she became the Senior Youthworker for Dursley and supports the Community Youthwork Coordinator for Dursley to make sure that The Door is delivering the very best youth services to young people in the area. Flo’s favourite activity is Playing card games and she loves to learn new ones! When she’s not at The Door Flo is either working as a carer, looking after her 12 guinea pigs, or seeing friends. Nat joined The Door team in 2018 as a Sessional Youthworker. Away from the door Nat can be found doing shows and gigs as a rapper/mc and enjoys boxing. He also works in an additional provision school, helping young people who have been excluded from mainstream education. Leah came to The Door as a young person for a number of years and was inspired to become a youthworker. Since her days as a student youthworker in 2017 Leah joined the team as a Sessional Youthworker in 2018. She is studying youthwork through CYM. Between her studying and working at The Door Leah enjoys practising her photography and watching films. Esther joined The Door team as a Sessional Youthworker in 2018. 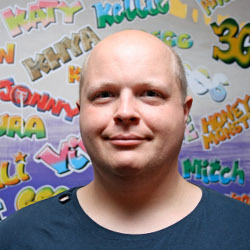 Isak joined The Door team as a Sessional Youthworker in 2018. Rosie has been part of The Door family for many years, she starting coming to The Door as a young person in 2007 where her passion for youthwork began. Since then she has completed a Degree in Youthwork and is currently studying for her Masters. Rosie joined The Door team as a Sessional Youthworker in 2018 and is also one of The Door's volunteer Trustees. Away from The Door Rosie is a Director of ‘Youth Work Europe’ where she organises and attends training courses, conferences and youth exchanges around the world. She also loves baking and crafts. 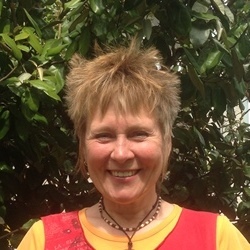 Anne has been manager of The Door shop since 2012, and along with her Assistant Manager takes on the task of running The Door’s charity shop in Stroud. As well as sorting donations and serving customers Anne looks after our wonderful team of shop volunteers. 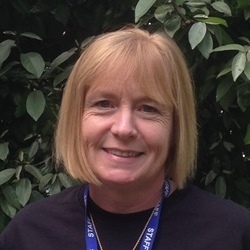 Linda joined The Door team in 2018 as an assistant in The Door's charity shop. Away from The Door Lin enjoys spending time with her grandchildren, walking holidays with her husband and dog and even getting lost on Dartmoor in the fog! Lin's motto is "don't sweat the small stuff - look for the positives. She also enjoys sewing, and you may even get to see some of her handiwork in the shop sometimes! 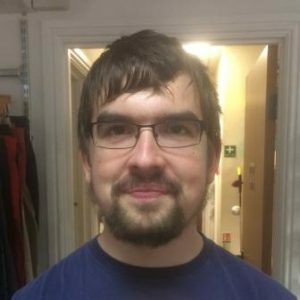 Owen started at The Door as a volunteer in The Door Shop in 2016. He volunteered in between completing an assisted internship at AquaJardin and his College Studies. He passed his Preparation for Work and Life course in early 2018 and joined The Door Shop team as a Shop Assistant later that year. In his spare time Owen continues to volunteer in The Door Shop and enjoys model making - he has a collection of over 20 character models! Richard joined The Door as fundraising coordinator in 2017. His role includes compiling bids for funding from grant giving organisations as well as reporting back to funders as well as networking with other local charities and not for profits. Away from The Door Richard is a Reader in the Church of England, a member of Rotary, numbers of academic study groups including the royal society of arts and is a member of the Marshfield Flower Arranging Club. Anne started at The Door as a volunteer in The Door shop, since then she has completed a business administration apprenticeship in partnership with Stroud College and joined the team full time as Operations and Events Coordinator in 2014. 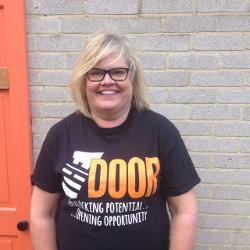 As well as managing the day-to-day comings and goings of The Door’s Stroud office, Anne organises The Door’s fundraising events and activities including street collections and concerts. She is also on hand to provide support for anyone raising money for The Door. When she isn’t at The Door, Anne holds the role of secretary at Stroud Methodist Church, is a member of Ignition Gloucestershire and can always be found at the Fairford Air Show every July. Bev came to The Door as a young person for a number of years before becoming a youthwork volunteer in our Stroud centre. She started as a Business Administration apprentice in 2017 and supports the Administrator with the day to day running of The Door. If you give us a call it will probably be Bev that answers! She became The Door's Service Delivery Administrator in 2018. Peter had just been made unemployed when he was offered his job at The Door. Although he is not directly involved in any of the youthwork he has gained an appreciation for the work that's done by The Door. He also enjoys walking around the beautiful valleys and communicating via Amateur Radio.